This time it really is over. Airbus chief executive, Tom Enders, recently announced the end of the A380, the largest commercial aircraft ever built. Despite reported investments of more than €14 billion, this iconic European project has not been as successful as was originally hoped. With only 234 units delivered out of 313 ordered over 13 years, it is far from the break-even point – originally estimated at 1,200 aircraft over 20 years. With orders drying up and production already running at a minimum, it was time for Airbus to stop the damage. Long before its launch date, the A380 appeared to represent the future of Airbus, which anticipated that air traffic would double in the next 20 years. That’s why it is both big – it can carry anywhere from 550 to more than 800 passengers on two full decks – and luxurious, with options such as private rooms, restaurants and bars – even an in-flight casino. Its engines are on average 30% more powerful than those of the Boeing 747 and are worth €13 million each – the value of a ton of gold for all four. National Geographic dedicated an episode of its series ‘Megastructures’ to the A380. To keep the overall weight down, the A380’s designers used groundbreaking composite structure, including carbon ribs within aluminium wings. Equipped with the most advanced navigation system in commercial aviation, it can operate for more than 13 hours and fly more than 9,000 miles. The aircraft is built on a continental scale: the wings are made in Wales, engines are made in England (Rolls Royce) or the US (Engine Alliance), the fuselage and the vertical stabiliser is built in Germany and the horizontal stabiliser in Spain. Final assembly is carried out in France. Each wing weighs 6.5 tons and is composed of tens of thousands of components, carrying the fuel, supporting the fuselage and channelling the power of the engines. If the A380 is undeniably one of the most impressive aircraft of all time, its unique design and distributed production system created numerous technical and coordination problems. The initial launch was delayed 18 months by a range of difficulties, and the ability of airlines to customise the aircraft proved to be an additional source of delays. While the A380’s first flight – on April 7 2005 – was a success, the market was already changing. Airlines that initially favoured big hubs such as Singapore and Dubai began to offer more direct flights from a significant number of middle-sized airports. The rise of low-cost airlines brought in influential new players and weakening the long-time leaders that had been seen as big prospects for the A380. Most importantly, the 2008 economic crisis seriously cut into the growth in air traffic. While growth has returned, the market is smaller than expected, making it harder to fill a wide-body aircraft, much less a double-deck one. It is simply not profitable for an airline to have flights with less than 80% of the seats filled. Emirates, which owns half of all operating A380s, has the financial resources to take on this risk, but not other carriers. It was Airbus’ mimicry of its historic competitor, Boeing, that led to the gap between supply and a considerably evolved demand. Airbus CEO Tom Enders on the decision to end the A380’s production (AeronewsTV). With A380 sales lagging, Airbus launched its new mid-size flagship, the A350, in 2014. It and Boeing’s 787 Dreamliner, both of which have only two engines yet can fly great distances, were preferred because they had lower costs and fewer constraints than the A380. A380 orders started to dry up in 2015 and persistent rumours suggested that the end was near. 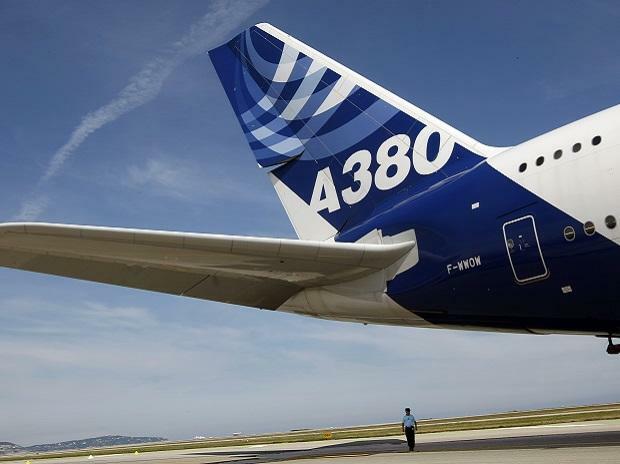 There were no orders from US carriers, few in Asia and even Air France halved its anticipated A380 fleet. On January 15 2018, John Leahy, Airbus’ chief commercial officer, declared that if Emirates didn’t order at least 30 more A380s, it wouldn’t be possible to keep the program alive. British Airways, which owns a dozen A380s, has suggested that it could acquire others, but only if Airbus was “aggressive on the pricing”. Whatever the result of those discussions, they are unlikely to alter the company’s decision. Today, the very design of the A380 is being questioned – that it was in many ways a delusion of grandeur by Airbus, which wanted at all costs to beat the Boeing 747. But its four engines consumed too much fuel, and being able to carry more passengers wasn’t enough to make up the difference. The A380’s immense size and double-deck layout also require airport investments not needed for other airliners. Without the support of Emirates, which has made the A380 its flagship and is probably the only company that will regret its end, the decision to cease production would have been made a long time ago. Emirates has agreed to convert part of its latest order to A330neo and A350 aircraft, remaining faithful to Airbus. The last delivery is scheduled for 2021 and there will be no new versions brought into service. Meanwhile, the Boeing 747 celebrates 50 years of service – though it too is ending production, marking the end of an era for airline behemoths. The end of the A380 is not necessarily good news for Boeing: it releases Airbus from a weight that has long prevented it from delivering its full potential. Resources and skills can be better allocated and thousands of workers may be offered jobs on other production lines. If the end of the A380 is a hard blow, the end of the story has yet to be written for Airbus.